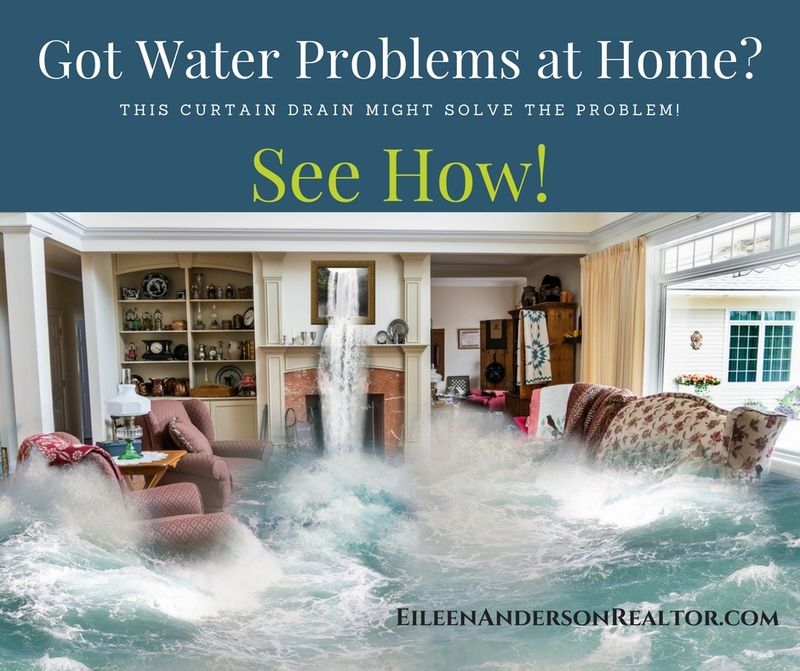 If you have persistent or occasional water in your basement you might want to consider installing a curtain drain (sometimes called a French drain) around the foundation of your home or at the highest point to capture the runoff and to divert the water to another area of the yard or a dry well. Its relatively simple and a good workout! As you can see by this image it is also important to slope the dirt away from the foundation of the home. The soil from this project was moved to the other side of the fence where a stone retaining wall was built along with a new shade garden. You will need the following materials: shovel, level, perforated PVC piping, landscape fabric, string line and stakes, wheel barrow, rakes, small river stones or 3/4″ gravel. 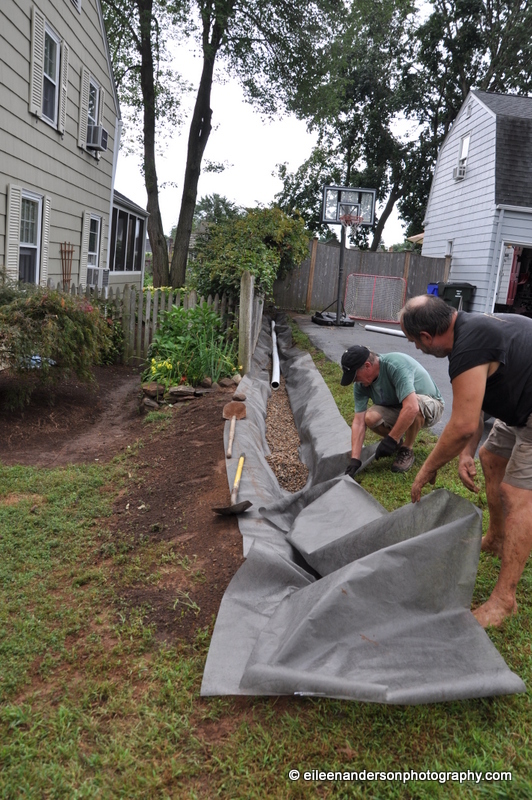 Dig your trench for the curtain drain at the high point of where the water runoff is. Put down the landscape fabric. The water will be diverted out in the middle of the yard toward the road and away from the foundation of the house. Add gravel or stoned to ditch on top of landscape fabric. Start laying the perforated pipe on top of the stones using a level to pitch the water runoff down toward the exit area. The landscape fabric will be wrapped around the pipe to prevent dirt and debris from clogging the pipe and allow the water to run freely through the curtain drain. Wrapping the pipe and adding the corner where the water will exit the curtain drain. Curtain drain is complete and working perfectly! This is the other side of the curtain drain and another great DIY project that will greatly enhance the appearance of your home & garden! 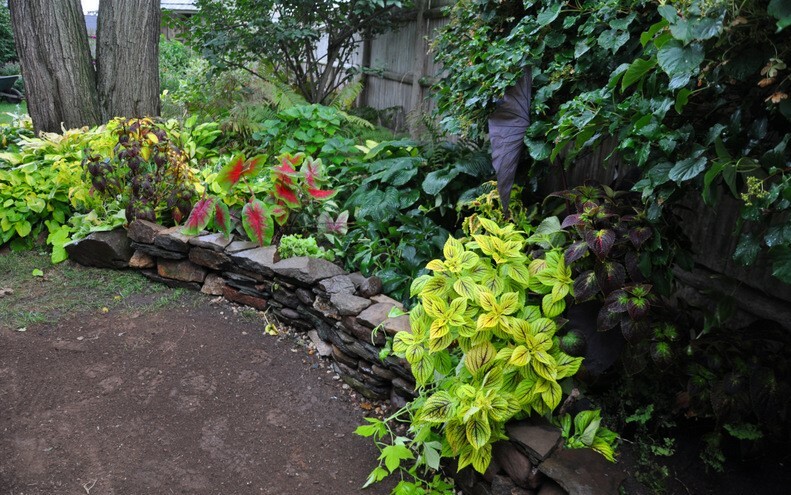 Read how to build a stone wall here and choose the correct plants for a a shady area. 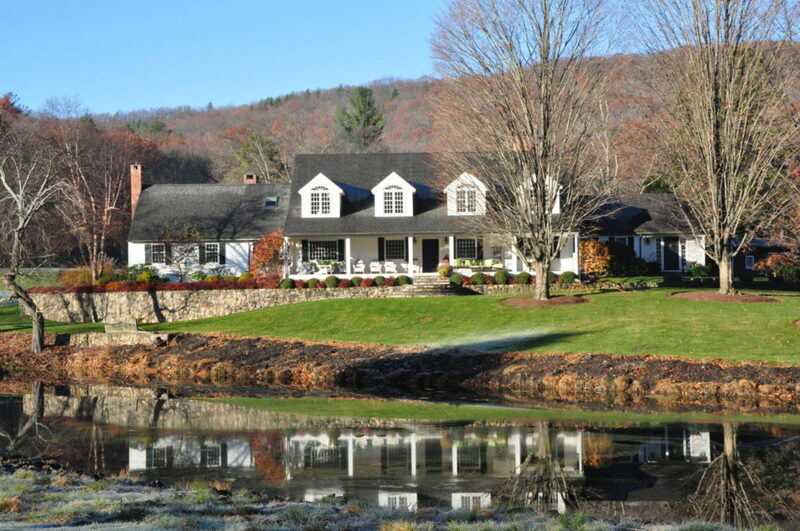 I am licensed for residential real estate sales in the state of Connecticut including but not limited to the following CT towns: Avon, Bloomfield, Burlington, Barkhamsted, Canton, Colebrook, East Granby, Hartland, Hartford, Suffield, Windsor, New Hartford, North Granby, Farmington, Simsbury, Suffield, New Hartford, Litchfield and West Hartford, CT.